As Tara walked down the path to marry Sam, she ran into both of her parents, waiting for her. I walked ahead to allow them some privacy. As I turned around, I saw her father lean in for a kiss. I'm not sure what was said between them, but I knew the emotions were there, even from a distance. Location: Fearrington Village, 2000 Fearrington Village; Pittsboro, North Carolina. 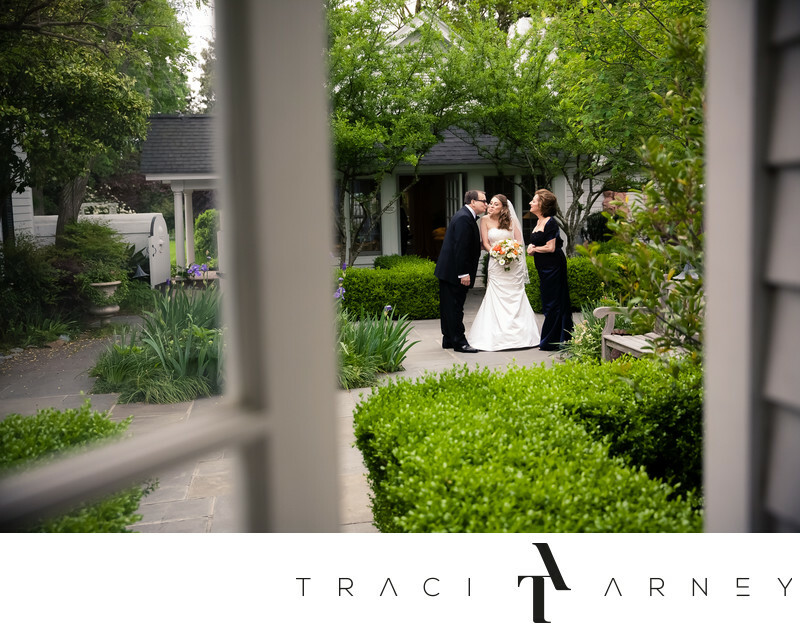 Keywords: Bride (171), Chapel Hill (27), Destination Wedding (186), Fearrington Village (33), NC (636), Parents (3), Walk Down The Aisle (15), Wedding (465). 1/1000; f/2.8; ISO 1600; 38.0 mm.